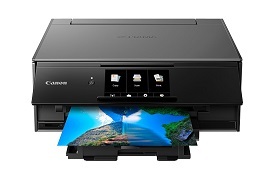 Important Note: Some of the scanners in the reviews have updated versions which may have different features. In these cases, the links and pictures have been updated. Please confirm the features before purchasing. For what its worth, here is my experience. 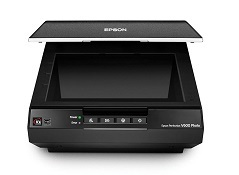 I bought an Epson V500 scanner in December at $212 from Amazon, no shipping cost and no tax. 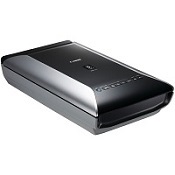 (This scanner is now outdated and priced much higher. 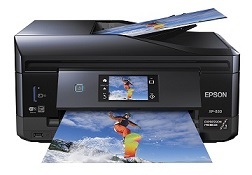 Click the link above for the newest version of this scanner - Epson V600.) It even includes an older version of Photoshop elements. 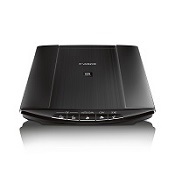 It is a full featured scanner with the lights for positiv e or negative film scanning permanently built into the lid. It is a marvelous scanner and scans up to 4 35mm slides or 12 35mm negatives at once at whatever resolution you like. All the resolution in the slides is captured far, far before you reach the maximum resolution capability of the scanner. Scanning slides and negatives is not difficult. Since they are "transparencies" they need to have a light source that shines through the film. Most scanners, particularly the all-in-one models, are for "reflective" material so they have the light source on the same side as the information to be scanned. Also, since slides and negatives are relatively small 2"x2", it is necessary to scan at higher resolutio n, generally 2400 dpi or abov e.
Thanks for the article. I have just started the journey down the same road Slide to digital. I have also been looking for ways to digitalize slides, pictures and old movies. 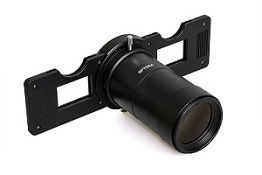 Ritz/Wolf Camera will do it for you and put the data on DVD. They told me that DVD will store a better quality picture than CD. Ritz Camera, in the Detroit area, translated an old movie cassette of family activities dating from the 60's or 70's in time for my Mother's 94th birthday this past January. It was well worth the money. The surprise was my Dad's voice on the play back....Dad passed away in 2005.